Jeff Cavins’ book When You Suffer offers us ways to find meaning in our suffering, which lead us deeper into love. 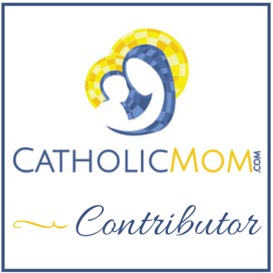 March 18, 2016 in book review, CatholicMom.com, faith, sacramental life, Uncategorized. A delay in receiving medication taught me a lesson about being ignored when you ask for help. March 1, 2016 in faith, Uncategorized. The third in a series of posts about the Lay Dominican Congress, featuring notes on Dr. Ralph Martin’s talk on the urgency of the New Evangelization. January 10, 2016 in faith, Notes from Congress, Uncategorized. The second in a series of posts related to the Congress for the Lay Dominicans of the Saint Joseph Province. Today’s topic: Mr. David Brecount, OP, discusses lifting the Lay Dominican Life as a family. December 13, 2015 in faith, family life, Notes from Congress, sacramental life, Uncategorized. The first in a series of posts related to the Congress for the Lay Dominicans of the Saint Joseph Province. Today’s topic: Father Cadoré on Dominican Culture and mercy. December 6, 2015 in Notes from Congress, Uncategorized. Being the good soil that allows the seed God sows to flourish means allowing God to work on us and change us. December 1, 2015 in faith, sacramental life, Uncategorized. Our family participated in a protest against Planned Parenthood today. Not everything we saw was good, though. December 20, 2014 in faith, family, The Grace of Yes, Uncategorized. The Jesse Tree is an excellent way to keep Advent in a culture that’s rushing towards Christmas. December 11, 2014 in Advent, faith, family, homeschooling, Jesse Tree readings, Uncategorized.